The Miami Beach Planning Board approved the proposed Marriott Residence Inn at 17th Street and West Avenue on Wednesday night, after more than four-and-one-half hours of discussion. The project, which includes a sleek 116-room hotel designed by architect Kobi Karp and a 66-space mechanical parking garage, now will go before the Miami Beach Design Review Board. The 6-1 vote came after board members heard from more than a dozen residents from different neighborhood associations who expressed concerns the hotel would add to traffic woes on 17th Street between Alton Road and Belle Isle. They also heard from supporters of the project, who said an extended stay hotel in the residential part of Miami Beach would add convenient lodging for family and friends of Miami Beach residents. The property is bounded by 17th Street, the Collins Canal, the path of the planned West Avenue Bridge and a parking lot that serves Boston Market and a retail and apartment building at the corner of 17th Street and Alton Road. 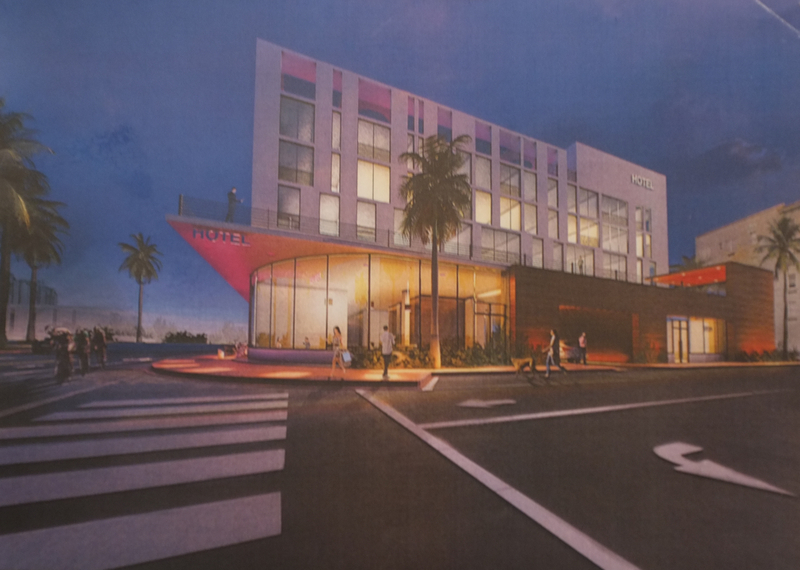 Board members praised the design of the hotel project, proposed to be built on land under contract to be purchased for $5 million from the Miami Beach Housing Authority by the Finvarb Group. Finvarb owns several Marriott properties, including the Courtyard on Washington Avenue. But most of the debate involved impact on 17th Street traffic from the project. Henry Stolar, the only board member who voted against the project, did so after asking for the vote to be postponed so the development team and city staff could do more work on the 17th Street issues. Board chairman Charles Urstadt said the decision was difficult because he believed the project is a good one, but the concerns about traffic were legitimate. To try and address traffic, board members asked for a slim median on 17th Street to keep eastbound traffic on 17th Street from attempting left turns into the property, and a requirement that a fourth valet be added during peak business hours at the hotel to prevent cars from backing up from the hotel entrance into the street. Developer Ron Finvarb told board members the hotel would be something the city will be proud of. “This will be a Residence Inn by Marriott. It must adhere to very high standards,” Finvarb said. This entry was posted in City Issues, Development, Traffic and tagged 17th Street, 17th Street hotel, Finvarb, Marriott, miami beach, Planning Board, REsidence Inn. Bookmark the permalink. 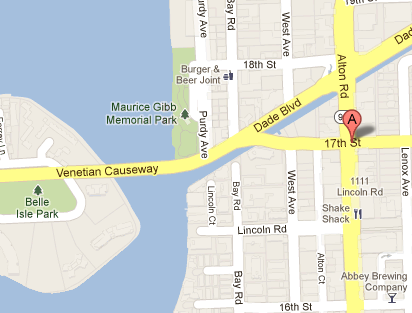 Our city should first built the bridge to extend West Avenue, then built a much needed park. The area is already well saturated. park, park and park, move to the country side so you can have park and that is private land no public. The building is too large for the space. I object to a 68,200 sq ft building on this 26,000 sq ft lot. glad to see the hotel going in. if it was a small condo building no one would object. we need a place for guests in our area. The city needs to attend to simple infrastructure and basic planning issues to make Miami Beach a viable destination for the future BEFORE the shortsightedness that city officials are so well-known for, costs the city of Miami Beach it’s reputation and it’s residents more out-of-pocket.